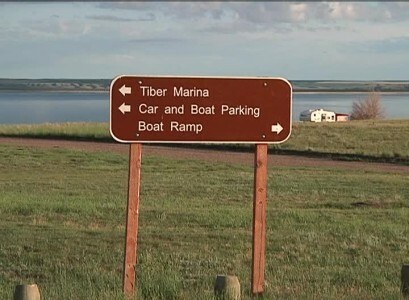 The FWP announced that they will be closing all boat ramps on Tiber Reservior except the ramp at Tiber Marina and the VFW ramp. This decision was primarily made due to many boaters not adhering to the clean, drain and dry requirements last year. It was reported that about 100 boaters that left Tiber and Canyon Ferry Reservoirs did not go through the required inspection and decontamination process. Many boaters that regularly use Tiber Reservior are not happy with this decision due to the size and configuration of Tiber Reservior they feel this could dramatically reduce their access to desired fishing areas on the Reservior. The Captain had a chance to talk to Tom Woolf the AIS Bureau Chief for FWP on the Montana Outdoor Radio Show. Woolf mentioned that another reason that the ramps will be closed on Tiber is because there are just not enough people willing to man the inspection stations at all of the boat ramps on the Reservior due to it’s remote location. Rob Cook Montana State Representative for House District 18 also joined the Captain on the show and proposed putting an electronic gate on the closed ramps so that local boaters could access them with a special code once they were enrolled in the FWP Local Boaters Program. Tom Woolf said that they will be considering that as well as other possibilities proposed by the public. MontanaOutdoor.com will stay on this story and report on any new developments. If anyone would like to give their comments on this issue they can call (406) 444-2535.